2001 Y REG. 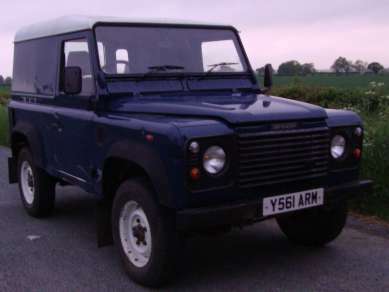 LAND ROVER DEFENDER 90 2.5 Td5 HARDTOP,BLUE 85,750 MILES, 3 SEATS,TOWBAR WITH SINGLE ELECTRICS, STEEL WHEELS 205/80R16. MOT 7th MAY 2018.